An easy and lovely way to convert your standard 7/8" candle holder into a pillar candlestick. At 3 1/4 inches in diameter, this adapter is made for 2 inch pillars. We suggest using with candlesticks of varying heights for a beautiful lighting arrangement. The adapter is pictured here with our 1005 candlestick and our 100% Beeswax 2x3 inch pillar candle, both sold separately. 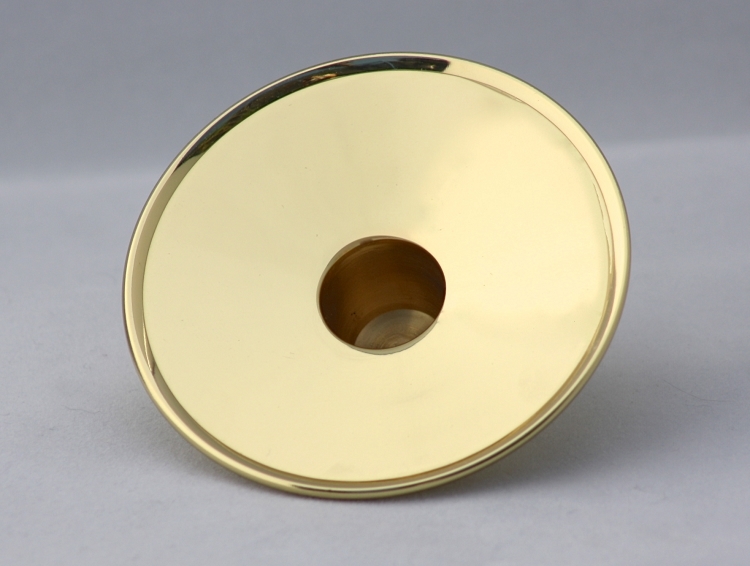 The brass is lacquered to keep it shining. They are small so the candles put on them cannot be large (3") also they don''t fit in the baldwin candle holders, they wobble horribly...price is cheap but you get what you pay for.Administrator Note: We are sorry to hear that you are so unhappy with the adapters. As stated in the product description, the 1149 adapters are made to be used with 2 inch pillar candles. If you are looking for a 3 inch pillar adapter, our Kendall adapters are what you would want to use. As for the fit, we are still using the same factory that was used when all of this merchandise was being produced under the Baldwin name, so they are actually the same products. That said, not all of the candle holders are as good as others for holding adapters. If the fit is too loose, we would be happy to mail you some strips of adhesive foam that can be wrapped around the peg to help secure the adapters in their sockets. Price was our major concern for the church. 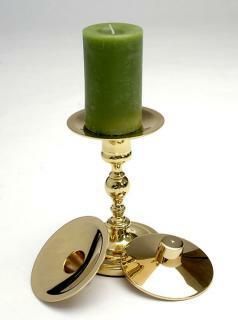 The item is perfect for changing a small candle opening and allowing for a larger [2" or less] pillar candle. Our Advent holder opening is slightly larger than the brass adaptor male plug, but we used a classic rubber candle adaptor band around the adaptor plug & have a good, snug fit. Although a thin pillar spike would''ve been nice, we used a candle stick''em pad to secure the pillar candle to the brass. Can''t say enough good things about these. 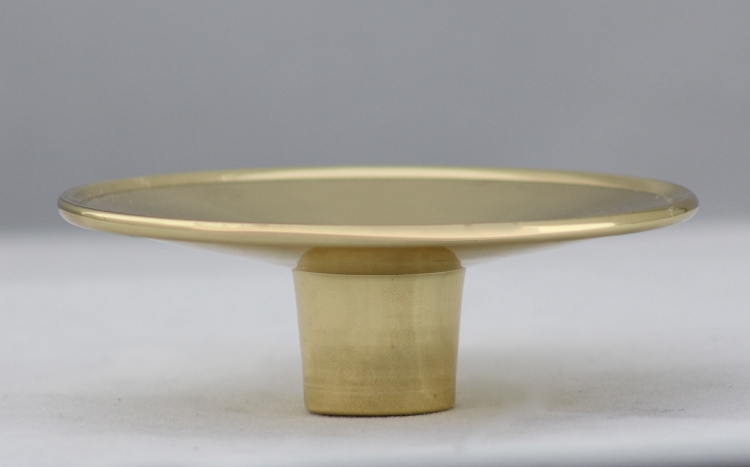 Ordered 6 and they work beautifully in all my different Baldwin Brass candlesticks. Would like to see these made in a larger size! Would purchase them in a Heartbeat!! I shopped around a bit before bumping into Brass and Silver Traditions. Mighty glad I did. This and other purchases have been total delights. I especially like the way this adapter cradles pillar candles on any size brass candlestick for great show. Thoughtful folks there too. I would give the pillar adapter a 5 star review. It is attractive, fits well, and makes useless pillar candle holders usable. I own 4 pillar adapters. I like this item very much. I wasn''t using several beautiful candle holders because I don''t care for the pillar candles. Now I am enjoying these candle holders again. I plan on ordering several more in the future. 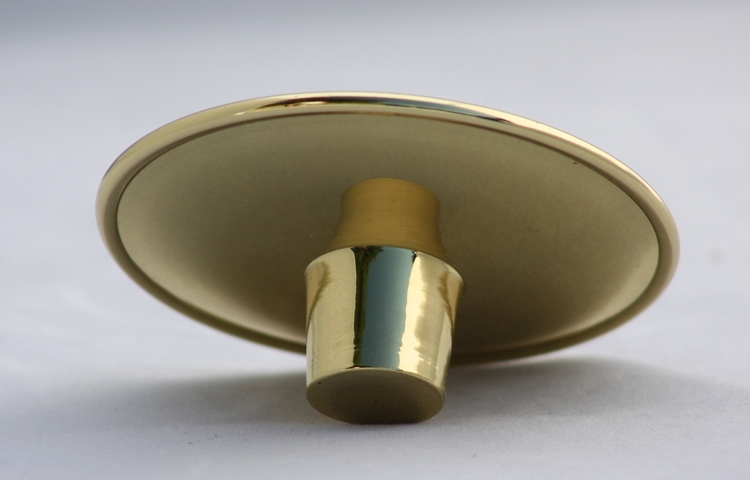 Candlestick adapters provide a cost effective way to vary the look of your candlesticks. Simply set the peg of the adapter into the opening of your 7/8 inch candlestick to create a surface for use with votive or up to 3 inch pillar candles. The adapter measures 3 1/4 inches in diameter, and weighs 3 ounces.